This Flat Focus Mitt is made from soft PU leather with super dense shock absorbing foam. 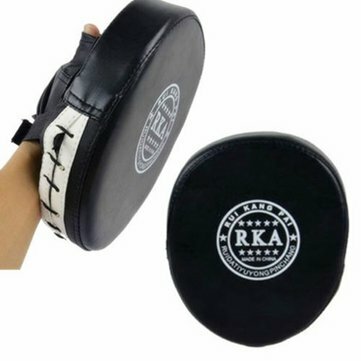 This Flat Focus Mitt Box Training Pad Focus Pad Hook Jab Mitt is perfect for Muay Thai Kick Boxing MMA Training. This Flat Focus Mitt is a must for whoever are interested in boxing. same as the picture fast shipping!! !